Our clients can avail from us a premium quality assortment of Easy Fruit Fly Trap. It is widely demanded trapping fruit fly. These products are an effective, non-toxic solution to control fruits flies, which is a serious pest in fruits and causes severe yield loss. Used for monitoring and mass trapping also called as male annihilation technique of species, which are serious pests of several fruit and vegetable crops like, Mango, Guava, Jujube, Citrus, Orange, Banana, papaya, Apples, Peach, Plum, Capsicum, Tomato, Bitter gourd, Brinjal, Musk Melon, Snap melon, Snake gourd, pawpaw, Gherkin etc. Since incorporation in the year 2014 as a Sole Proprietary firm, our company is conducting all its business affairs with its operational unit located at Hyderabad, Telangana (India). We hold ingeniousness in the manufacture of Funnel Trap, Sticky Trap, Fruit Fly Trap, Delta Trap, Melon Fly Trap and much more. Our product line has been much appreciated by our clients located worldwide and it helps us widen our client base at a rapid pace. 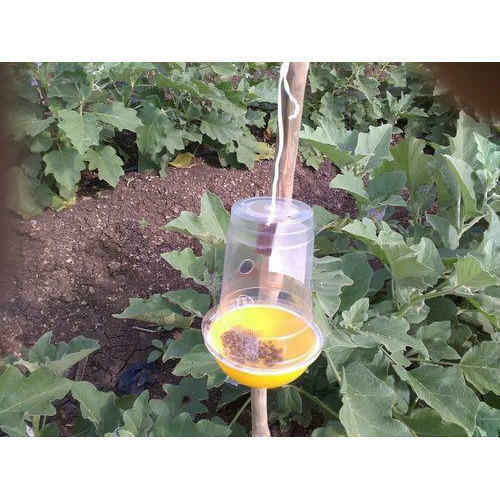 Our trapping system and Insect pheromone Lures are a part of Integrated Pest Management approach through we aim to promote sustainable agriculture in the fields of Agriculture and Horticulture. Our product ranges are highly helpful in timely detection of pest infestation and monitoring of pest problem. Our product also helps in taking the estimation of the pest population density in the area where cultivation has been done.